In the most recent edition of In-House Legal presented by Lex Mundi, I explore what In-House Counsel should know about Off-Shore Outsourcing of Document Reviews. Special guests on the broadcast included Cindy Courtney, with Day Pitney LLP (Lex Mundi member firm for New Jersey), and Kate Bertini, Assistant General Counsel with United Technologies Corporation in Hartford, Connecticut. We discussed the nuances of eDiscovery, factors to consider when deciding to use off-shore reviewers and helpful tips and safeguards for In-House Counsel. This is a fascinating topic about which I 've written previously. Outsourcing continues to strike fear in the hearts of outside counsel, even as In-House Counsel consider the use of LPOs and other offshore service providers to be standard procedure. As a Biglaw partner said to me recently, presumably operating under the belief that he alone was capable of identifying the potential risks: "You just can't trust the quality of these offshore providers." Contrast that with the opinions offered by In-House Counsel on the broadcast, in which the underlying motivations for perpetuating the Biglaw model are deemed to be revenue protection, lack of transparency and lack of process. Not surprisingly, outside counsel who embrace outsourcing and off-shoring as just another approach often find that quality is improved, costs are lower, efficiencies increase productivity... and clients are very happy. 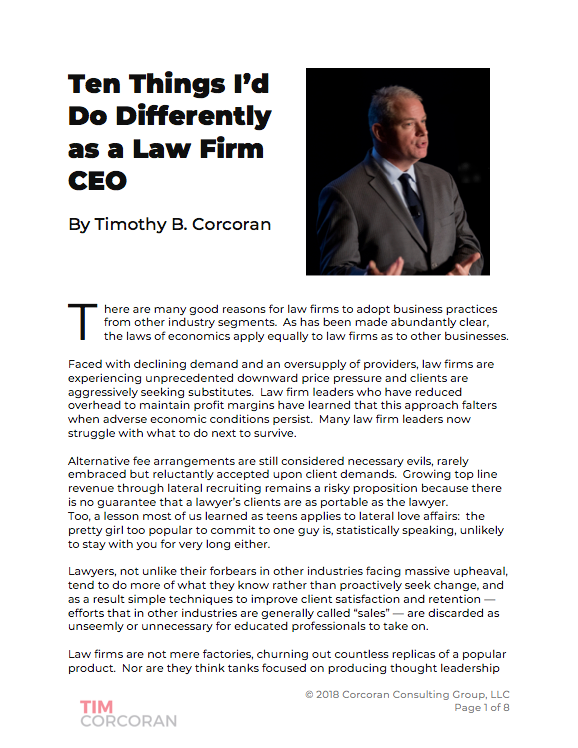 There's no right or wrong answer on this topic, but law firms who fail to explore these options do a disservice to their clients. As the old television commercial goes, "Try it, you might like it."